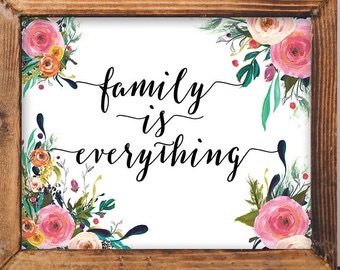 My family – my parents, brother and sister and law. They are beyond amazing. During our hospital stay they came as much as they could, brought us food, drinks, held Violet and Henry. Tried to feed Violet, brought us tiny baby clothes and micro nappies. Everything I had packed in my hospital bag was too big for my tiny babies. They weighed 5lb 8oz – V and 5lb 11oz. After we got home, the next day my family were there to help. I am so thankful for that. After my sleep I woke with a horrendous headache. This lasted for weeks, it was a reaction to the spinal block. The only way I could ease it was to close my eyes and place a cold flannel on my face. I read the copy of my maternity notes I had been given to give my midwife. Violet was born not breathing, that explained why they didn’t announce her birth to us straight away. After minimal intervention she had been fine. I had lost a lot of blood during surgery, not quite enough for a transfusion however. This explained my fainting episode. I was pretty useless the first couple of weeks. My husband had four weeks off and my mum and sister in law came every day to help. At the weekends my dad and brother were there too. The feeding issues with both continued. I pretty much gave up on breastfeeding Henry. I was just too poorly, he was taking formula really well and actually started to gain weight. We had to take him to the hospital days after discharge so he could be weighed by the midwife team. That wasn’t fun. Still no one really cared about our struggles feeding Violet. Now 2-4 weeks old she still didn’t have a suckle reflex. She would lick the end of the teat. Feeds took and hour for a minimal amount to be taken. We were told to feed her two hourly. So we were pretty much just constantly trying to feed her. That’s were my family were amazing. While we struggled with this they helped as much as they could. In any way they could. They still do now 27 months on. But that’s a story for another day. 💜4 Years Old💜 Yesterday was a mixture of lovely precious moments interspersed with very difficult and tricky parenting. There is no happy medium at the moment. It’s all been building for a long time and the last month of seizures and medication changes has compounded an already tricky situation. We desperately want to have our happy Violet back. We see snippets but that’s all they are. It’s heartbreaking and very hard. So many things are still unknown. The experts still can’t figure this complex princess out and it worries us to death. That aside, we are trying our best to hold it all together. To ride this wave as long as needed, weather the storm and arrive at a happy place. Today we head off on a family holiday, a destination not too far away which is ideal with the current situation. I’m hopeful the exciting atmosphere, new sights, sounds and activities will be the distraction we all need.